Let's discuss this match between two great teams. Multan Sultans have won the previous encounter and are confident to win this one too. LQ is bowling first as they won the toss. 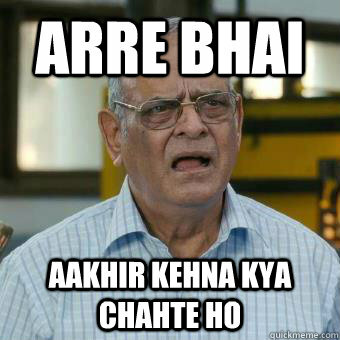 wow ruthless start by Sultans. Both openers are firing in all cylinders especially Sanga. Looks like this will be first game where we might see 200. 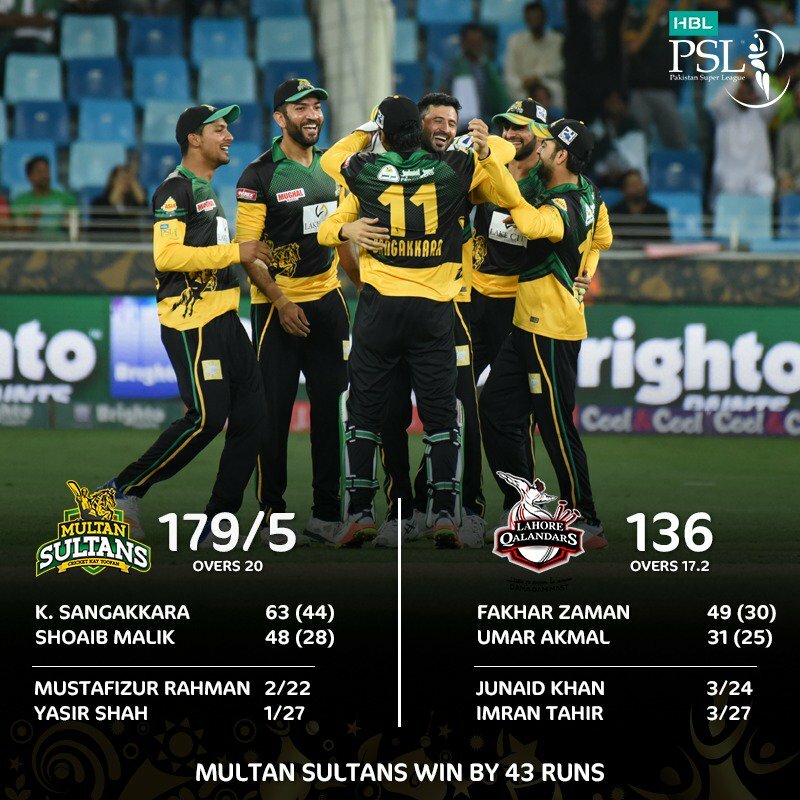 (02-23-2018, 09:43 PM) hussain Wrote: wow ruthless start by Sultans. Both openers are firing in all cylinders especially Sanga. Looks like this will be first game where we might see 200. Doesn't help the fact that Qalandars pace attack is weak. ooper poll dekh kar woh gana yaad agya "sohan halway......sohan halway.....aray lalay yahan to sabhi sohan halway hain"
(02-23-2018, 10:02 PM) xoxo Wrote: ooper poll dekh kar woh gana yaad agya "sohan halway......sohan halway.....aray lalay yahan to sabhi sohan halway hain"
200 is not possible now. More like 170. I am frustrated by the size of crowd in PSL. They deserve more than that. Hopefully crowds in Pakistan matches will be much larger than this. Sultans blew in the end by not capitalizing on flying start to score 200. 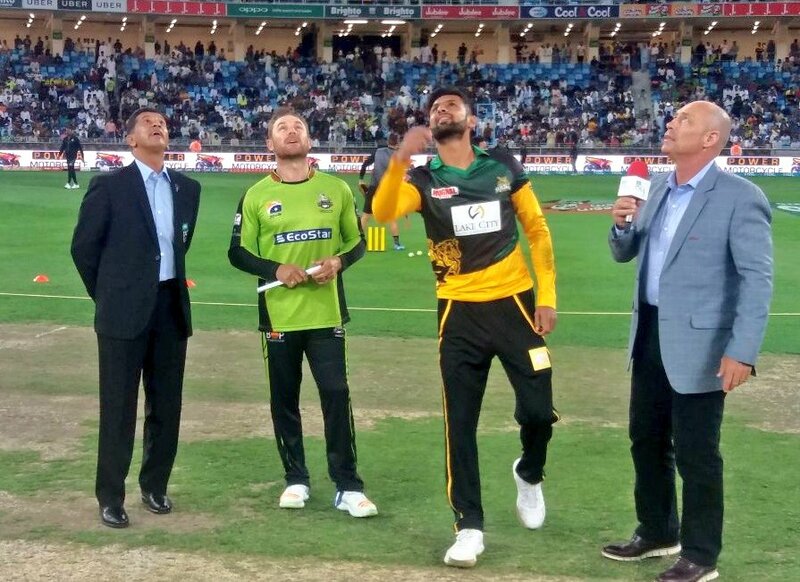 Qalandars have some very good hard hitters that can easily take the game away. My vote is for Qalandars.